The joint investigation team (JIT) responsible for the criminal investigation of the downing of Flight MH17 over Ukraine in July 2014 have delivered the preliminary results of their investigation. The important question, though, is not the beliefs or conviction of the JIT spokesperson – but whether or not a court of law will accept these conclusions. The JIT has often been accused of deciding on the scenario they would investigate early in their investigation and subsequently restricted their investigation to that scenario – despite claims to the opposite. In other words, not giving proper consideration to other possibilities. They rely on “intercepted telephone conversations and videos and photographs on the social media” for this assertion. Readers who have followed the social media discussion will not be surprised to find this scenario is exactly the same as that advanced by Bellingcat – a controversial site run by British journalist and blogger Eliot Higgins (formerly known Brown Moses). This site is well known for advancing apparently plausible but cherry-picked information promoting Higgin’s political arguments against Syria and Russia. The problem is that having decided on this scenario last year, the JIT’s search for evidence involved the presentation on social media of a video outlining the scenario and asking residents in the area if they could contribute any evidence. It seems no other credible scenarios were investigated. As it stands a court may consider the sort of evidence promoted by Bellingcat and the JIT regarding this scenario as circumstantial at the best. Especially if JIT continues to base their scenario on “classified” US information they cannot reveal to the court. And how will the JIT respond to defence lawyers asking if they had catalogued all the BUL systems and accompanying missiles in possession of the Ukrainian Army at the time? For some balance, I checked out another press conference occurring at a similar time today – that given by technical experts from the manufacturer of the BUK missile system – Almaz-Antey. Unfortunately, you are unlikely to see that press conference on our main-stream media. Here is a video from this press conference – I appreciate it is hard to follow technical information presented in a foreign language and relying on translators – but it is worth watching and thinking about. 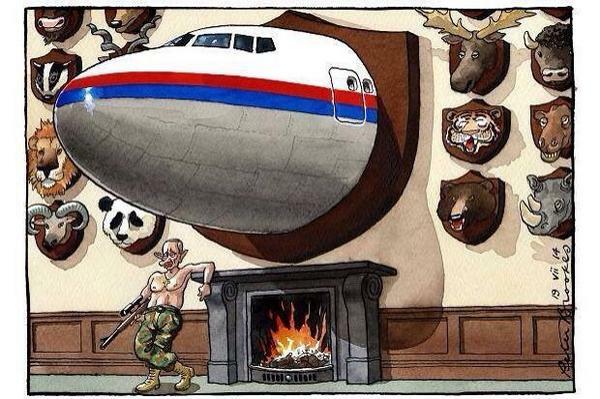 Credit: MH17 Malaysian Facebook feed. Almaz-Antey, of course, does not have any responsibility to determine what the real scenario was and who was responsible. But they do have the technical skills to evaluate conclusions being drawn about the missile system, its detonation near the aircraft and its launch site. Here they repeat data presented last year evaluating the conclusions drawn by the Dutch Safety Board in their final report. They also carried out an experiment testing these conclusions using a real missile and aeroplane fuselage. They found that the Board was mistaken – holes and marks on the experimental fuselage did not correspond to those on the MH17 wreckage – and concluded that the missile used was actually an older version (not in the current Russian service but still used by the Ukrainians), that the detonation took place differently to what the Board had concluded and, therefore, the launch site could not be in the region the Board had concluded. The primary radar data discussed was new – having been recently found among calibration data stored by a subsidiary company. This data could not find any record of a missile on a trajectory assumed by the Dutch Safety Board – and their estimate was that if a missile had been on that trajectory for the required time the chance of it being recorded in the primary radar data is more that 99%. Unfortunately, that primary radar was not capable of recording any signal from the different trajectory and launch site indicated by the Almaz-Antey analysis of fuselage damage on MH17. The company has passed on this information to Russian investigators who, I understand, have in turn passed it on to the JIT. So, I am not convinced that the JIT has produced a case that will stand up in court. if they included further information – such as a survey of the BUK systems known to be in Ukraine at the time, and actual satellite data the US claims to have – then their circumstantial case may be more credible. As for the Almaz-Antey information – I find it technically credible. But of course, that can only be tested by people with the same level of expertise. Until that is done it should not be rejected out of hand as the Dutch safety Board (and the JIT) appear to have done. Let’s note that Wilbert Paulissen said: “there was conclusive evidence that a missile from the Russian-made Buk 9M38 missile system downed the passenger flight on July 17, 2014.” This relates to the missile system and should not be opportunistically interpreted to mean the JIT has “conclusive” evidence for the Bellingcat scenario they are pursuing. I think most people now accept that a BUK missile system was the most likely weapon used. Tthe arguments are about the model of the missile, the detonation point and the launch site. I cannot see any credible argument from the JIT for their claims on these aspects to be conclusive. Here is the video of the JIT presentation referred to at the beginning of the article. It is quite difficult to follow (foreign language, translators and the problem of sound levels of each) but I managed to stick with it to the end. The first half essentially follows the text linked to above (Presentation preliminary results criminal investigation MH17 28-09-2016) but the last parts are interesting with statements from the countries involved (illustrating the political nature of the event) and the questions. The video confirms for me that the JIT investigators had started with a preferred scenario and are not willing to consider others. I can’t see this standing up in court – if it ever gets to a reputable court. Two years after the shooting down of the Malaysian commercial airliner (flight MH17) over eastern Ukraine (Donbass), investigators seem no closer to identifying the culprits. This may seem surprising given the quick recovery of the black boxes and most of the airplane. But, on second thoughts, perhaps not surprising given the regional and geopolitical politics. But, time is taking its toll on the credibility of the current investigators. Until now the investigation has been handled by the Dutch Safety Board (which published its final technical report last October (see MH17: Final technical report) and the Dutch-led joint investigation team (JIT) which is responsible for a more detailed investigation enabling determination of criminal liability. Now, the Malaysian government is launching their own independent investigation. In announcing this the Malaysian PM Najib Razak said this would be a joint investigation together with the Russian Federation and its research results would be revealed in October 2016 (see Malaysia to start independent investigation into MH17 tragedy). Includingof Ukrainian experts in the JIT, while at the same time excluding Russian experts, raises suspicions. The Ukrainian Army, together with the rebel authorities in the Donbass region, are the main suspects. In fact, analysis of the intelligence evidence presented to the Dutch parliament (see Flight MH17 in Ukraine – what do intelligence services know?) indicate that the only BUK systems active in Eastern Ukraine at the time of the tragedy were in the hands of the Ukrainian Army. So, I welcome the new investigation by Malaysia and the Russian Federation.They have declared their willingness to cooperate with the Dutch-led investigators. Currently, the Dutch-led investigation is being carried out by officials from Australia, Malaysia, Belgium and Ukraine but it would gain more credibility if it included Russian investigators. The Dutch-led team claim they are making good progress and their report is just months away. 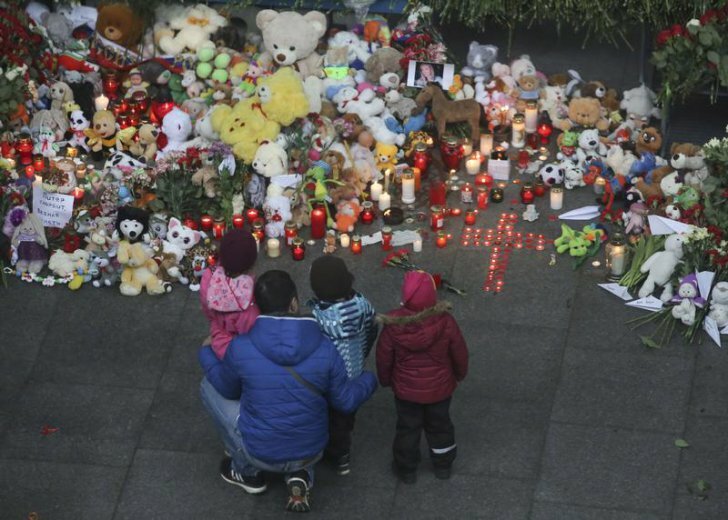 Hopefully, this report, and a similar report from the Malaysian/Russian joint investigators due in October, will show some progress which helps bring justice to the families who lost loved ones in this tragedy. Why doesn’t Putin shirtfront someone? Can’t help being provocative here. Surely if the Russian authorities want a clear answer to what caused the crash of the Airbus A-321 in the Sinai Peninsula they have only to call on some renowned “experts” like Tony Abbott (ex Australian PM), US President Barack Obama, UK PM David Cameron or a few of the newspapers who are fond of pronouncing judgment. These “experts’ were able to confidently assign guilt within hours for the crash of the Malaysian MH17 in eastern Ukraine last year! They were very confident in their attributing blame, very loud – and, what’s more, imposed economic and political sanctions pretty well straight away. Do these Russian authorities not have the same love for these civilian victims (mostly citizens of the Russian Federation) that Tony Abbott, President Obama and Prime Minister Cameron had for the innocent victims of the MH17 crash? Abbott had no doubt from the very beginning that Vladimir Putin was directly responsible for the MH17 tragedy and threatened to “shirtfront” Putin at the Brisbane G20 leaders meeting. Now, our media keep telling us what a rude and brazen person Putin is. Why isn’t he threatening to “shirtfront” someone? Why hasn’t Putin already apportioned blame and expressed the same supreme confidence in a scenario that we were exposed to last year over MH17. Is Putin a weak leader who couldn’t care less about the plight of his people? Or were Tony Abbott, Barack Obama, David Cameron, etc., simply attempting to make political capital out of a tragedy? The London Times had no trouble identifying the culprit last year – it didn’t have to wait for any evidence. Is, in fact, Putin illustrating what a real responsible leader should do? Is he just being true to his request over MH17 that political leaders stop using the tragedy for political purposes and wait to see the findings of the investigation instead of launching a lynching party without any evidence. 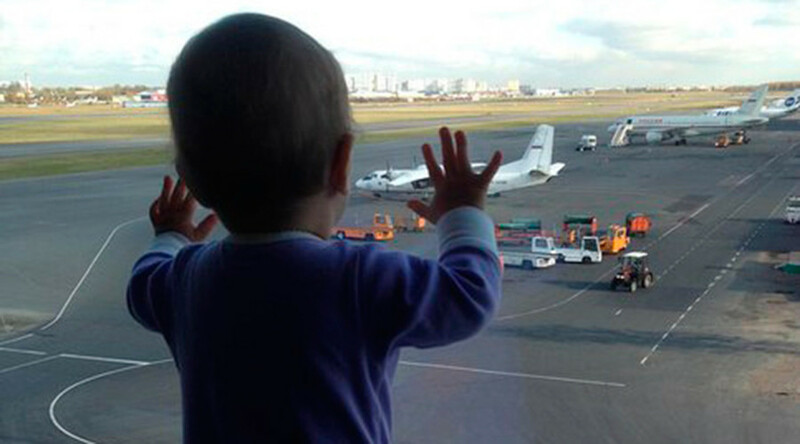 St Petersburg: Russian mourns victims of plane crash in Egypt. Image credit: Moscow Times.